41 years ago, Electric Light Orchestra's second single for their Out of the Blue double album hit the airwaves and made the metallic clang of a fire extinguisher a musical instrument. Out of the Blue, with its classic '70s artwork and Jeff Lynne at his best, would sell over 10 million copies and solidify the band as one of the biggest groups of the biggest era in rock 'n' roll. 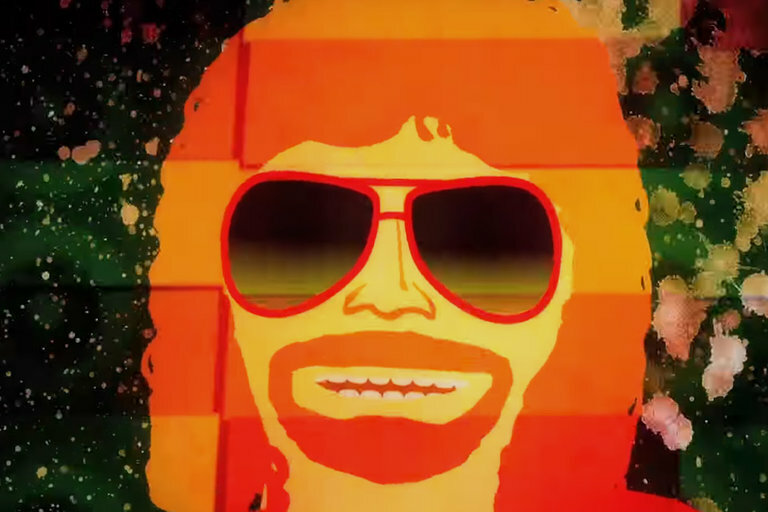 Celebrating just over four decades, ELO released this trippy animated video to commemorate the occasion and one of Lynne's favorite songs. The cue cards are just as important to the success of Saturday Night Live as the cast members, weekly hosts, costumes, and sets. So much so, they've actually become a character of their own. The man behind the cards Wally Feresten shares how these handwritten sheets have helped keep the show running since 1975.